Outside of advertised events, Feelgood Cafe will be open by appointment. Please call 01702 470700 or email chalkwell@metalculture.com. We welcome schools tours or group visits. Tickets can be booked for individual events – or to attend the whole series at a discounted rate. Have your say on our Facebook page – join the debate here. An evening of memorabilia and vinyl. With speeches and DJs. Drop in for a coffee, browse through the collected memorabilia of Dr Feelgood from their early days in the 70’s through 4 decades of touring. 2pm: Chris Fenwick, Dr Feelgood’s manager since the beginning, gives a tour of the items on show and talks about his time with the band. Directed by Paul Duane, Produced by Robert Gordon and Paul Duane. £3 ADVANCE: £5 (£4 conc) ON THE DOOR. Book here. Jerry McGill aka Curtis Buck; rhythm guitarist to Waylon Jennings; Sun Records artist; Memphis fixture; “crazy sonofabitch” and the last American outlaw, is 70. Three jail terms behind him and staring death in the face, he gets one last chance at musical immortality – will he take it, or will he go out in a blaze of guns, police, drugs and ragged glory? 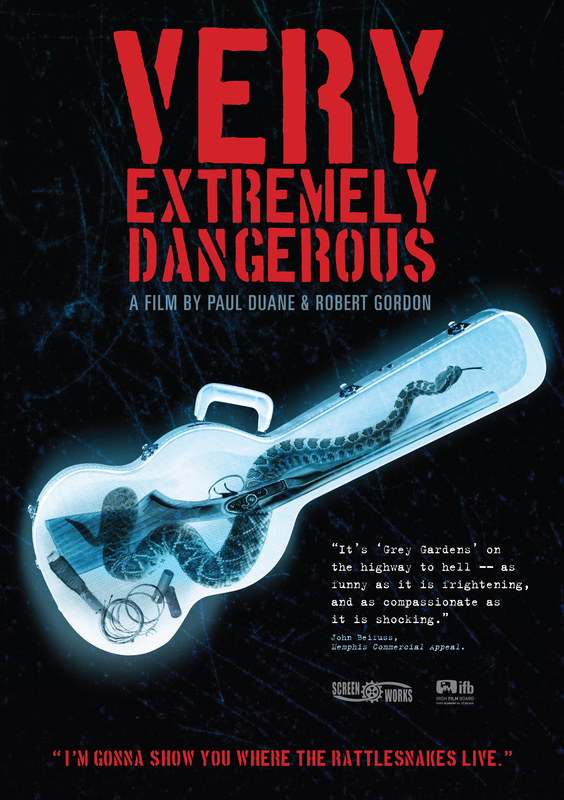 Irish director, Paul Duane’s film, Very Extremely Dangerous, follows McGill, described by The Paris Review as “somewhere between stock villain and reality TV star” following a diagnosis of terminal cancer. He’s back on the road, playing live after a hiatus of 25 years, and in search of some kind of redemption. It’s a portrait as terrifying and sobering as it is sometimes affecting. For more information, read this review of the film. £5 ADVANCE: £7 (£5.50 conc) ON THE DOOR. Book here. From the elemental uplands of southwest England comes the heavy rural sound of Urthona. Using psychedelic feedback, drone, unorthodox tunings and mythologically charged field recordings, Urthona’s super-amped worldview takes in moorland, seascapes, extreme weather and ancient and modern ruins. Neil Mortimer is the band’s core member, for live shows joined by Mark Pilkington (Asterism) on synths and electronics and Michael J York on Breton pipes and flute. 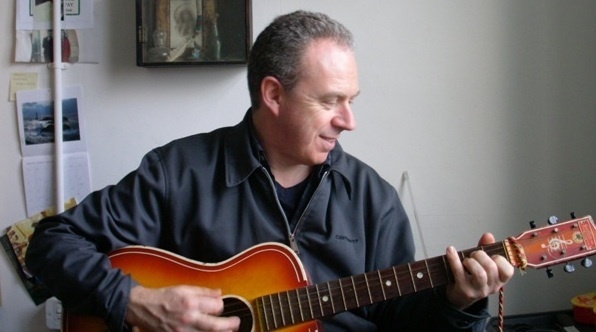 Recently Neil Mortimer has provided solo desert guitar for the acclaimed documentary Mirage Men. The Wire magazine described the last Urthona album, The Elements’ Rage ‘Clearly, when it comes to psychogeography, feedback speaks louder – much louder – than words’. 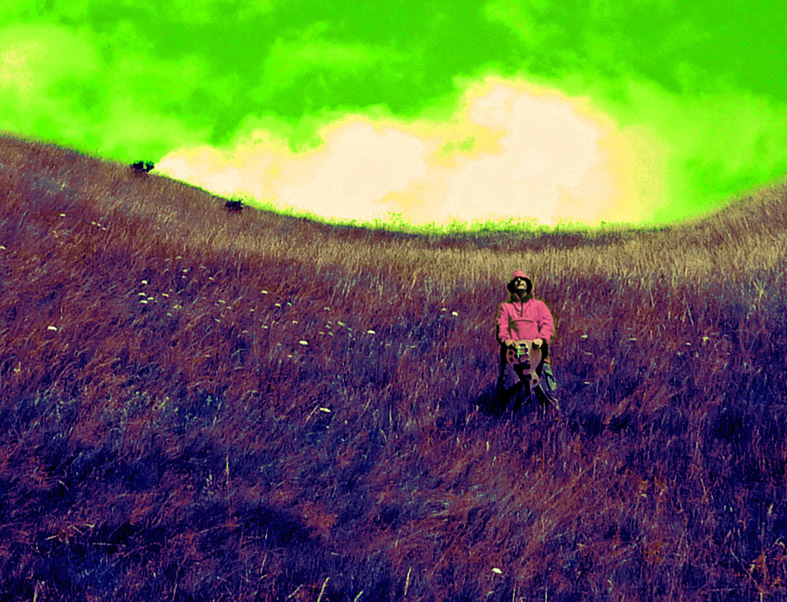 The Quietus has variously described Urthona as a ‘West Country weirdo’ and a ‘West Country guitar legend’. Urthona’s sixth album, Hearing Secret Harmonies, will be released in 2015. 1pm and 3pm: artist and musician, Stuart Bowditch will run two 1 hour electronic music workshops. Experiment and play sounds on a guitar, then process them live with multiple effects to create improvised ambient, textural and rhythmical soundscapes. End the hour with a 10min performance of your creation to the cafe audience. FREE: Only 6 places available on each. Booking essential. Book here. If the guitar was an instrument of revolution in the 70’s and 80’s – where is it now? And what is its role? Writer and musician, Zoe Howe chairs a panel of musicians that includes Enid Williams (vocals/bass guitar Girlschool) and Helen McCookerybook (vocals/guitar, The Chefs) who were there then – and here now. There will be discussion, readings, live music and vinyl. Malpractice will be connected to work produced during the live Saturday workshops run by Stuart earlier in the Feelgood Cafe programme (see above). Listening to recordings of the improvised work with discussions around the processes and results. Stuart will then take push this work and sound further as a performance using the same equipment and techniques. Stuart’s work is inspired by location and the people, experiences and objects he encounters there. He is interested primarily in the sounds of everyday life and those who create them, making work that is inclusive and accessible. His music, sound tracks and art installations are often site-responsive and developed with community groups, the public or people who would not consider themselves interested in ‘art’. Using location recordings he has created sound art installations at many locations including Landguard Fort, Felixstowe (2011), BNMI, Banff, Canada (2007), Two Tree Island, Essex (2007) and Slack Space, Colchester (2014). £5 on the door. Kicks off at 7pm. Book here. All proceeds go to Old Trunk Theatre. 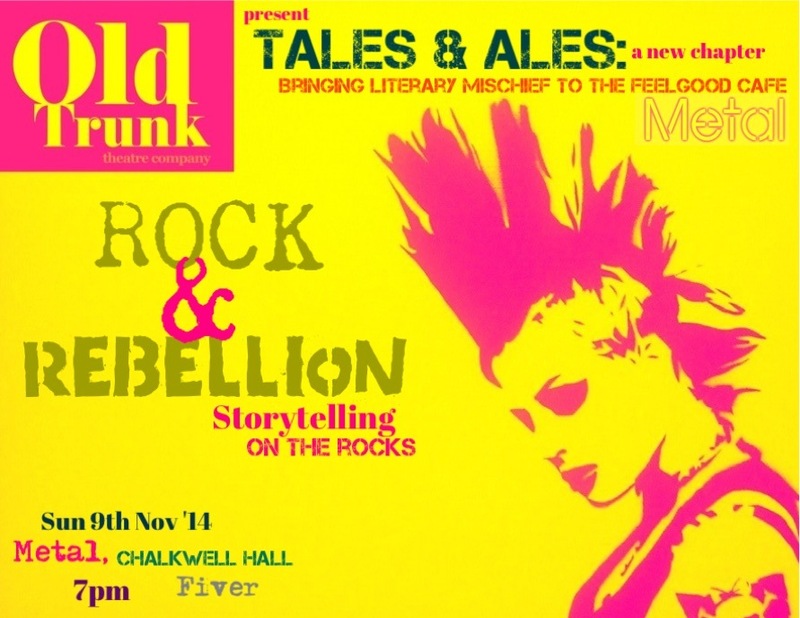 Old Trunk bring their acclaimed sell-out storytelling night to the Feelgood Cafe exhibition, inviting a motley rabble of writers to share new work on the theme of Rock & Rebellion. Line-up so far including the brilliant authors Fleet Street Fox, Mathew Lyons, and Syd Moore. Author, Lee Rourke reads from his latest novel, Vulgar Things (4th Estate, Harper Collins 2014). ‘A claustrophobic work that’s ripe with alcohol and despair’ (The Guardian) the book uses the landscape of Southend, Canvey Island and the early hits of Dr Feelgood hits as key protagonists as the story unfolds. The book even carries a dedication to the first Feelgood guitarist, Wilko Johnson, on the inside front cover. Lee will be joined ‘in conversation’ by Tim Burrows, a Southend-born writer and musician who sometimes drums in the band, Private Trousers. Tim writes about popular culture, music, art and place, and his work can also be found at the Guardian, Daily Telegraph, New Statesman and The Quietus amongst others. Lee and Tim’s joint essay project on the subject of the Thames Estuary and Dr Feelgood, Trying to Fit a Number to a Name, is forthcoming on Influx Press. Lee Rourke is the author of Vulgar Things, 2014 the short story collection Everyday, the poetry collection Varroa Destructor and the novel The Canal (winner of The Guardian’s Not The Booker Prize 2010). He is currently Writer-in-Residence and an MFA lecturer in creative writing and critical theory at Kingston University, London. £5 ADVANCE: £7(£5.50 conc) ON THE DOOR. Book here. Ex-Easter Island Head are a Liverpool based musical collective composing and performing music for solid-body electric guitar, percussion and other instruments. Incorporating multiple prepared electric guitars struck with percussion mallets and treated as an infinitely variable sound-source as well as drawing on an arsenal of cymbals, bells, prayer bowls and acoustic percussion, they devise works that explore group interplay, repetition and melodic invention through purposefully limited means. 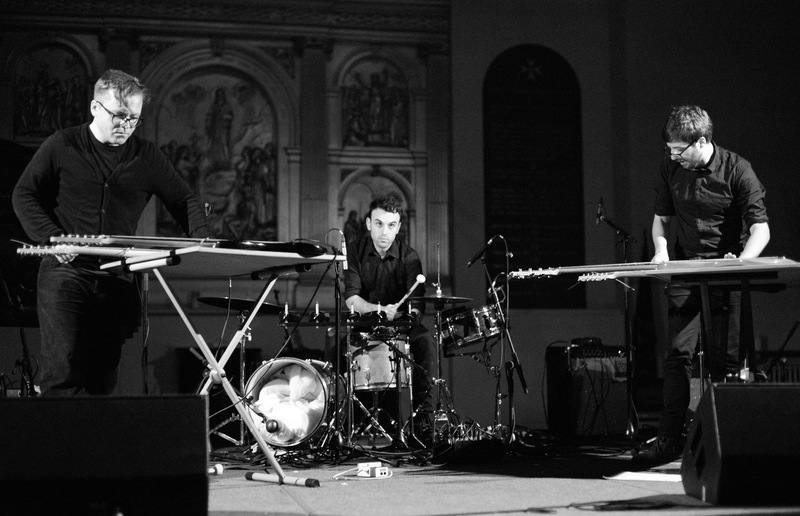 Fresh from their 2014 tour of Large Electric Ensemble, their fourth release on Low Point – www.low-point.com – they bring their original line up of three to the intimate setting of Cafe Feelgood at Chalkwell Hall. Alongside a group of Southend’s finest musicians, artist, composer and musician, Jem Finer presents Shortplayer for 7 Guitars, an hour-long composition for 7 guitars based on the compositional principals of Longplayer his world-renowned 1,000-year-long musical artwork at Trinity Buoy Wharf which at the time of going to press has been playing for 14 years and 245 days. The method of Longplayer’s composition can be regarded as an algorithm whose variables of duration, pitch and instrumentation may be changed to create any number of new compositions. In this sense, Longplayer is itself just one of these possible compositions, its title referring directly to its own extreme duration. Conversely, there exist a number of possible compositions in which Longplayer’s variables are adjusted so that a composition might last only a very short time – an hour, for instance. Shortplayer is the generic name for these possible short-durational compositions, which can be arranged for any group or combination of instruments and/or voices. Jem Finer’s take on the game of bingo, designed for guitarists. Jem Finer is a unique voice exploring issues combining science, technology, and philosophy such as “deep time” through sound installation, autonomous technology, and astronomical sculpture. He has been artist-in-residence at Oxford University’s department of Astrophysics and in 2005 won the PRS Foundation New Music Award for “Score for a Hole in the Ground,” and is co-founder of famed Irish-punk band The Pogues.